Staying informed about the current web design trends for 2019 is key when you have a website that you want to perform well and stay relevant. What is trending today may change tomorrow with shifting algorithms, captivating visuals and introduction of best practices. 2019 will be about engaging website designs focusing on website speed, minimalist design & layouts, mobile first performance and more. 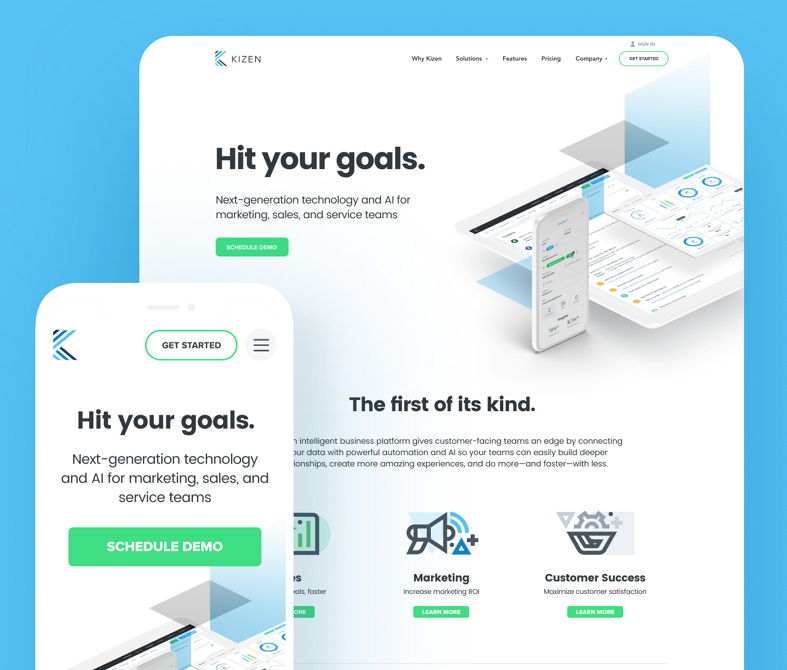 Here are 6 web design trends for 2019 you should be aware of. 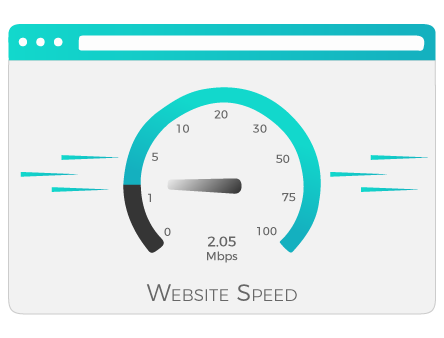 It is important not to overload your pages with data that will slow down your site. The need for videos and images are still very important in web design, however, in 2019 the need will be to focus on reducing the page loading times without compromising on the look of the website. Minimalist design is also known as flat design. This kind of design helps to focus on the important parts of the website using bright colors, clean-edged designs, few elements and a lot of free space. In 2019, users will focus more on voice search in mobiles. Users are impatient to get hold of information in the fastest way possible. Voice search on mobile will make this possible. An exploding trend ever growing in typography is unique fonts, ranging from vintage custom hand lettering to the messiness of bold strokes and the gracefulness of the alphabet in script. Typography has always been a powerful visual tool, able to create personality, evoke emotion and set the tone on a website – – all while conveying important information. Turn heads with vertical text – – a mix of horizontal and vertical text creates white space and produces a wow effect by abandoning the traditional horizontal alignment for all title text. 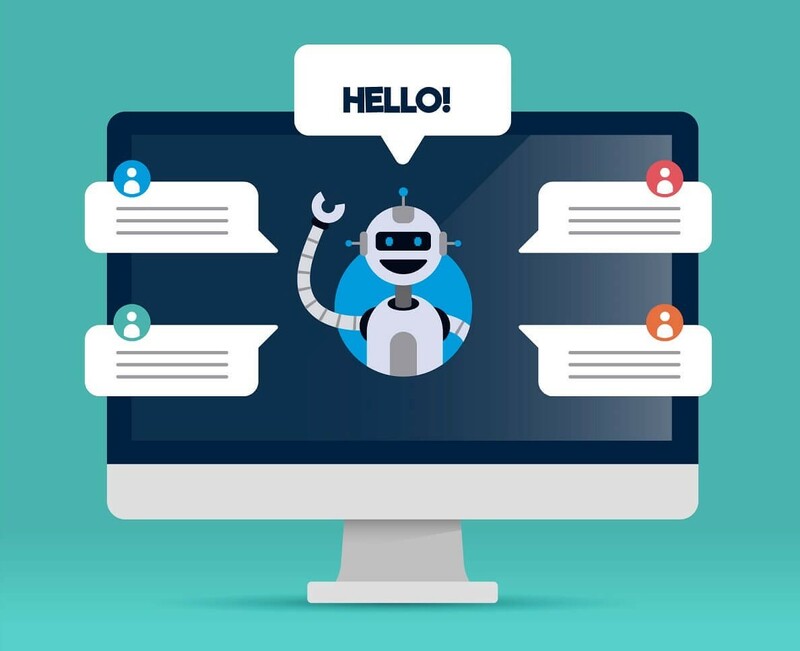 In 2019 Chatbots will become much more popular as they help to bridge communication gaps, personalize communication, improve response times, and automate repetitive tasks. This is all due to improved AI and machine learning techniques. Chatbots understand our data based on previous chat history, predict what we might be looking for and give our user’s product recommendations thereby enhancing customer satisfaction. You will notice Chatbots showing up more and more on websites, as they can intelligently handle customer service issues. Researchers found that consumers preferred chatbots over many other forms of channels to answer questions; 24/7 service, and receiving expert advice. If you decide to implement a chatbot on your website it could help you stay one step ahead of your completion as you can answer your customer’s questions quicker and provide help that much sooner. 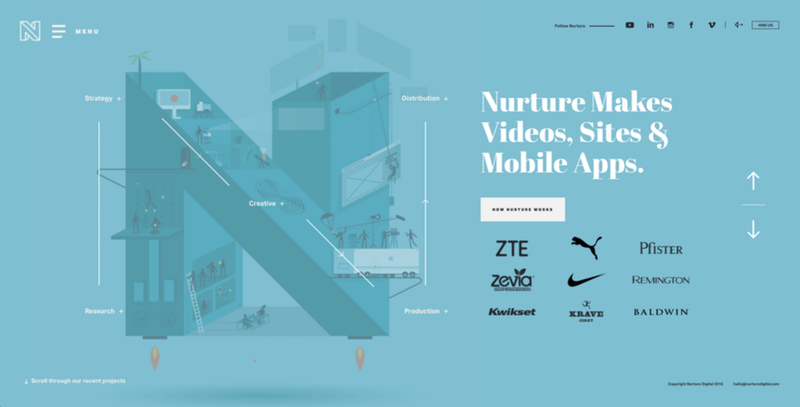 The trend of using micro-animations in website design is a powerful way to provide an engaging and satisfying experience for your end users. With the help of small animations such as; changing the color of a button on hover, scrolling animations, sound clips, the communication status bar, and expandable menus, all of these help the users understand the site and take the user experience to a whole new level. You want to use minor movements that catch your users’ eye, that doesn’t bog down your pages and effect page loading times. Micro-animations can help guide them through the site and even help signal visitors on where to go, and even provide feedback as they wander through the site. There you have it the web design trends for 2019. As you know trends come and go and it is up to you to decide which ones to take on that will work best with your company and brand. Not every trend will benefit your business, you need to figure out which ones will be impactful and effective to get your message across through your design. And remember not every trend lasts so what works now might not work in the future so be prepared to change it up next year. As designers, we are always on the lookout for what’s next!